Vancouver Podiatry will help you put your best foot forward, regardless of your age or level of activity and fitness. We specialize in the treatment of the root causes of foot ailments to ensure that once a problem is fixed, it won’t return. Our methods include surgical re-alignment, medical treatment, as well as biomechanical and gait control of the feet. 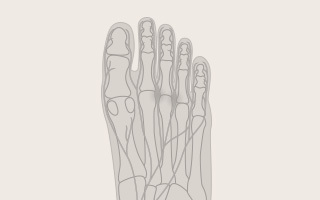 The Podiatrists at Vancouver Podiatry focus a substantial part of their practice on elective forefoot surgery. In particular, our podiatrists have a keen interest in offering the latest procedures for bunions, hallux limitus, neuromas and hammertoes. The doctors at Vancouver Podiatry perform a specific type of minimally-invasive bunion surgery called ‘Tricorrectional Bunionectomy’. Our Vancouver Podiatrists have recently incorporated both the StayFuse procedure for hammertoes and the Minimally Invasive Neuroma Decompression (MIND) for morton’s neuromas. Most of the procedures are performed under local anesthetic by oral sedation, in the clinic’s operating rooms. This reduces the risk of anesthesia-related complications and allows the patient to leave the clinic as soon as their surgery is complete. A bunion is a mal-aligned big toe joint that causes inflammation of the overlying skin and soft tissue. Bunion pain is caused by either pressure on the tissues overlying the bunion, or from within the joint itself. Bunions are corrected by realigning the bone and joint of the first metatarsal and then removing the excess bone. 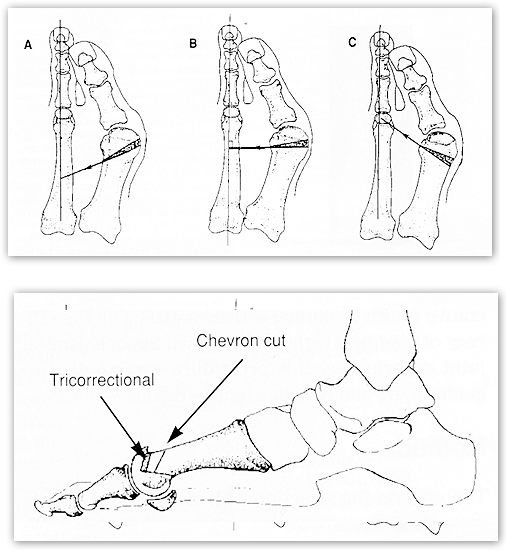 The Tricorrectional Bunionectomy (TCB) procedure is unique in the way it permanently corrects the misaligned bunion joint. TCB provides a stable shifting of the bone with screw fixation thereby preventing a recurrence of the bunion. Following TCB, patients are immediately able to stand and bear weight. They are back into shoes in three weeks and, in most cases, are resuming their regular physical activity by five weeks. This surgery is performed under local, anesthetic in Vancouver Podiatry’s private surgical suite, allowing for a reduced complication rate and a quicker recovery. 90% of bunion surgeries performed by Vancouver Podiatry employ the TCB procedure. Traditional base wedge bunionectomies are reserved for the 10% of bunions that are too severe to benefit from TCB. 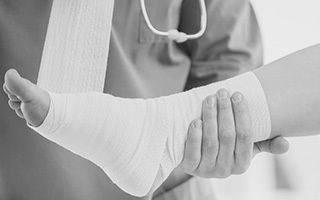 These procedures require 6 to 8 weeks of non-weight bearing cast immobilization and a longer recovery time. Orthotics can help you restore balance, improve sports performance, walk comfortably in high heels, and reduce or, better still, eliminate foot, back and leg pain. 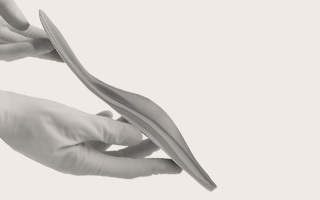 Orthotics are custom-made inserts that fit inside the shoe to decrease abnormal foot motion. Until recently, making orthotics required plaster casting – complete with pouring, casting, molding and construction. The podiatrists at Vancouver Podiatry are pleased to offer their patients all the benefits of 3-D laser optical casting. Both plaster and optical casting rely on the clinician holding the foot in the correct neutral position for accuracy. Both methods also provide an accurate three-dimensional contour of the foot. The difference is that in order to be 100% accurate, plaster casting requires total contact of the plaster with an immobilized foot, which can be difficult to achieve. Optical casting, on the other hand, gives a data sampling every four hundredths of an inch and as such, has been found to be more accurate than plaster. With optical scanning we check the scan to see if it corresponds to the biomechanical examination. If discrepancies are apparent, another scan be quickly taken with very little effort. Offering improved speed and accuracy in orthotic casting, Vancouver Podiatry Clinic is pleased to introduce the next generation of 3-D lasers in our clinic. “Dr. Mathews resolved my neuroma after I had been told by two other doctors not to have the surgery as the recovery was long and the results not a sure thing. He suggested a new surgical technique to release the neuroma. After the surgery, I was walking around in ten days and had no pain by week three! The surgery has been a complete success after suffering for five years with pain, ineffective orthotics and cortisone injections. Thank you, Dr. Mathews.” A.J. Morton’s neuroma is an inflammation of the nerve in the ball of the foot caused by an entrapment of the nerve between the metatarsal heads. The nerve becomes enlarged and is irritated by the metatarsal heads applying pressure on it. Symptoms of a Morton’s neuroma are pain and numbness in a specific spot in the ball of the foot, sometimes extending into the toes. At times the pain may be absent and, at other times, severe enough to require immediate removal of the shoe. The condition tends to get worse with time and can be a very debilitating disorder. When conservative treatments fail to relieve pressure from the nerve, a neurectomy (surgical removal of the damaged nerve) has traditionally been performed. The podiatrists at Vancouver Podiatry have extensive experience treating the foot ailments of athletes in many sports, and have developed long-term relationships with several professional and national level teams. Vancouver Podiatry specializes in treating active people and athletes for injuries involving the foot and ankle. There is a definite link between abnormal gait patterns and sports injuries. By controlling the mechanics of the foot and ensuring that the patterns of movement are correct, the risk of injury is reduced and the improved efficiency in their movement allows the athlete to become more proficient at their sport. Video analysis of gait and testing of the musculoskeletal system for muscle tightness and function. Footwear testing and recommendations on the use of prescription orthotics to control abnormal foot function. For high-level athletes or patients who have tried various treatments and have seen little improvement, Dr. Mathews uses the F-Scan system to examine the biomechanics of their walking and running. The F-Scan is a state of the art system that senses bipedal foot pressures using paper-thin sensors placed in a patient’s shoes. The system provides a wealth of information on a patient’s biomechanical profile. It can be used to compare untreated foot motion to that with orthotics, as the sensors can be superimposed on an orthotic. The F-Scan system can also be used to assess why previous orthotics and braces may have failed by analyzing a patient’s gait and comparing to target values. 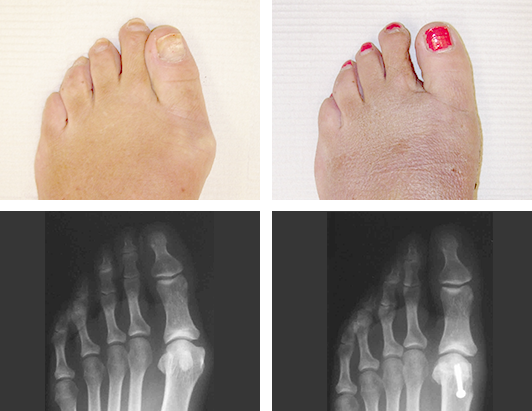 Hallux limitus is the development of degenerative arthritis in the big toe joint (first metatarsophalangeal joint) that progressively limits motion in the joint (when the motion is completely gone, the condition is called hallux rigidus). The condition is also characterized by loss of joint space, spur formation and pain. Orthotics can offer some early relief for hallux limitus by removing stress from the joint. Restoration of joint motion in cases of hallux limitus and rigidus can be achieved surgically by performing the Tricorrectional Osteotomy on moderately progressed joints and joint implantation or fusion on severely affected joints. The Tricorrectional Osteotomy offered by the podiatrists at Vancouver Podiatry places the joint in a better working position, creating a larger joint space, removing spurs and allowing for an early return to activities. When the joint is significantly progressed, it can be surgically replaced or permanently fused. Orthotics are custom inserts used to correct improper foot function. Excessive stress on bones, joints, and soft tissue caused by poor biomechanics, will eventually cause foot pain. A properly designed custom orthotic can relieve that pain by properly supporting the ligaments, joints, muscles and bones of the feet. For an orthotic to be optimally effective, a prior medical diagnosis by a recognized foot doctor, such as a podiatrist, is essential. As well, most extended medical insurance providers will only reimburse orthotics prescriptions made by podiatrists, or other recognized professionals. For more difficult assessments or patients with severe biomechanical deformities, Vancouver Podiatry offers the F-scan Plantar Pressure Analysis System. The F-scan allows for 3-Dimensional analysis of the foot while in motion and can help to determine whether an orthotic would control the motion of the foot. The F-scan is also helpful in determining why a particular orthotic may not be alleviating symptoms. Orthotics come in many different forms. They can be made from rigid or soft materials. Rigid materials include metal, plastic and carbon-graphite composites. Soft materials include leather, poron, vylyte and EVA. There are several ways to construct an orthotic. The most common method is to make a plaster impression of the foot while holding the foot in the proper position. 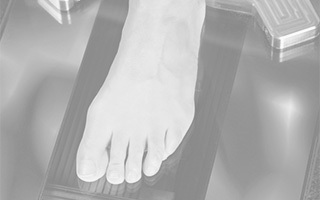 A more recent method is to take an optical impression of the foot using a computer scanner. A truly functional orthotic must capture the 3-dimensional shape of the foot. It is also critical that the foot be in the proper position when the impression of the foot is made. This is why an orthotic should never be made from a mold taken of the foot when a patient is standing and the foot is collapsed. Question #1: What causes a bunion? Bunions are a primarily hereditary condition. The associated pain, swelling and misalignment of the toe, worsen with standing, walking or running. As the bunion deformity increases in severity, it can cause many other associated foot problems, such as hammertoes, painful calluses on the bottom of the foot and arch pain. The bunion occurs due to a hereditary mechanical instability in the foot. 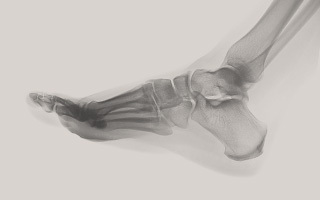 This instability results in a misalignment of the bones with the big toe tilting toward the second toe. As the big toe continues to shift, we begin to notice a large bump, the metatarsal, behind and on the inside of the big toe. “I had a bunion on my left foot for several years. I debated having bunion surgery in Vancouver for some time, but recently had it done. I am happy to report that I made the correct decision. Prior to the surgery, Dr. Mathews was very thorough in letting me know exactly what to expect. He was both clear and informative. Although I was a bit nervous beforehand, upon entering the surgery, Dr Mathew’s professional yet friendly manner put me right at ease. The bunion surgery was quick and I am now three months post-op. My foot looks and feels great. I could not be more thrilled with the process as well as the results. I would not hesitate to recommend Dr. Mathews at Vancouver Podiatry to anyone considering bunion surgery.” J.K. Question #2: What is Tri-Correctional Bunion Surgery and why is it our recommended technique for removing bunions? Tri-Correctional Bunion Surgery is an advanced technique using surgical engineering to realign the bone for proper function, and a surgical screw for the most stable fixation. This technique is typically performed under local anesthetic and allows for permanent correction, minimal pain and a quick recovery from surgery. At Vancouver Podiatry, we have successfully performed over 500 Tri-Correctional Bunion Surgeries and believe that this procedure is the most effective available to ensure proper foot function and reduce the chances of bunion recurrence. Many times involves a full leg cast (or steel rods which protrude from the toe for severe bunions). Requires that the patient limit their physical activity to minimal walking for as much as four months. Requires that the patient not wear shoes for a prolonged period following the procedure. Is performed under a local anesthesia on an outpatient basis. Involves a surgical screw which lies beneath the skin. Allows most patients to walk immediately after surgery without crutches. Usually allows the patient to return to shoes within two to three weeks. Question #3: When should I have bunion surgery? Pain from the bunion, either on the bump or in the joint. Painful calluses on the inside of the big toe or on the bottom of your feet. Pressure from the big toe pushing on the second toe. Any discomfort from wearing shoes. 1. Most of our patients experienced minimum discomfort. This new bioengineering procedure is done on an outpatient basis. Traditionally, bunionectomies were done in hospitals and the patients stayed overnight, usually due to post-operative pain and the inability to walk. Nearly 80% of our patients stated that their discomfort was markedly less than they had anticipated, and required minimal medications for pain. Additionally, the surgical engineering approach stabilized the bone allowing our patients to walk the same day as their surgery. 2.The majority of our patients were in shoes in two to three weeks. With traditional bunion surgery, return to shoes is often delayed by as much as a month by pain, swelling, and the inability to walk due to pins, which stick out of the foot, or instability of the bone. In the Tri-Correctional procedure, the use of a surgical screw which is beneath the skin and is much more stable than pins, significantly reduces pain and swelling. Securing of the bone realignment usually allows for immediate weight bearing and ambulation (walking), without the need for full leg casting. Patients are generally ready to begin wearing shoes in two to three weeks. To ensure the best possible results, patients undergo a program of rigorous rehabilitation to assist the healing process and increase the flexibility of the corrected joint. With Tri-Correctional Bunion Surgery at Vancouver Podiatry, bunion correction has never before been such a comfortable and manageable procedure.